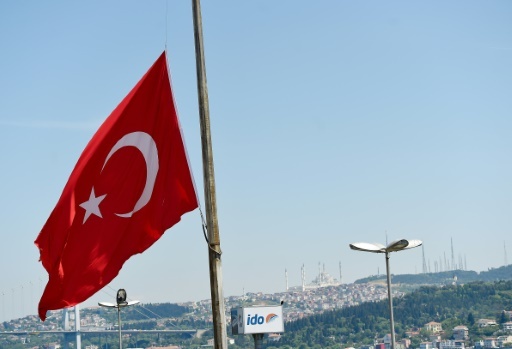 Ankara (AFP) – Turkey on Friday hosted an American delegation for talks to address concerns about the potential negative impact on its economy of the looming reimposition of US sanctions against Iran. US President Donald Trump decided in May to abandon the 2015 deal agreed with other world powers on Iran’s nuclear programme and reimpose nuclear-related sanctions against the Islamic Republic. The sanctions, which will seek to bar foreign companies from doing business with Iran and block its oil sales abroad, have alarmed Turkey which has a strong trade relationship with its neighbour and imports Iranian crude. “Our relevant authorities are carrying out necessary work for Turkey not to be negatively impacted by the upcoming sanctions,” the Turkish foreign ministry said in a statement. “Within this framework, we had discussions with the US delegation visiting Turkey,” it said, without giving further details. Turkish officials have vowed to continue trading with Iran despite the sanctions, which the former economy minister Nihat Zeybekci in May described as an “opportunity”. “The earlier we have these high level talks…, the less likely we are to wander into new areas of disagreement out of ignorance,” said the official. Relations between Turkey and the US have already been strained after a Turkish banker who helped Iran evade US sanctions was convicted in the US in January. Mehmet Haka Atilla was convicted after well-connected Turkish-Iranian businessman Reza Zarrab, arrested in the US in 2016, became a government witness and admitted involvement in a multi-billion-dollar gold-for-oil scheme to subvert US economic sanctions against Iran. During his testimony, Zarrab implicated President Recep Tayyip Erdogan and other officials in the scheme. In May, a Manhattan court sentenced Atilla to 32 months in jail. Annual trade between Turkey and Iran is around $10 billion but Erdogan has expressed hope of raising it to $30 billion. Iran supplies Turkey with around one half of its crude oil imports and Iranian tourists are increasingly important for the Turkish market. Featured Photo: AFP/File / Yasin AKGUL. Relations between Turkey and the US have already been strained after a Turkish banker who helped Iran evade US sanctions was convicted in the US in January.